I remember when Unbreakable came out in 2000, a year after The Sixth Sense. I was excited to see what M. Night Shyamalan‘s second installment was going to deliver. Unfortunately, I was underwhelmed by the revelation that this mysterious drama was merely about uninteresting comic book-like super humans. A lot of people I know loved this movie, and I even watched it again to see if it was just me…and nah. I still felt the same way almost 13 years later. Fast forward 16 years and I go to see Split, another M. Night movie. Other than James McAvoy’s spectacular performance playing multiple personalities, I found it to be a very average film. It failed to make me care for the victims who were bland and unbelievable, and just like Unbreakable, it seemed like everyone else loved it. I don’t know why. 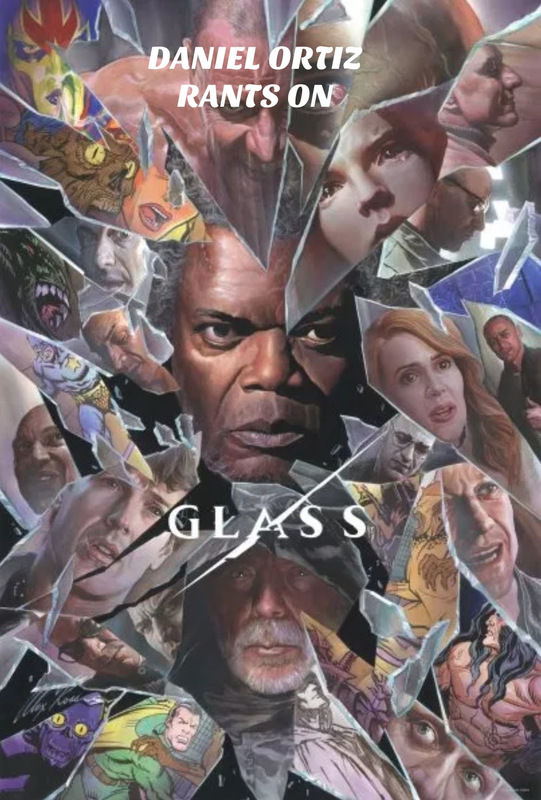 The twist in this film was that it was connected to Unbreakable and all of a sudden, a franchise we weren’t expecting (or asked for) was about to unfold. Now it’s 2019 and the 3rd installment of a trilogy we didn’t even know existed until the end of its 2nd second installment has hit theaters and well…expectations are not high. Honestly, I didn’t hate the first two movies, but I didn’t care for them enough to look forward to this one. Once again, James McAvoy delivered a great performance carrying the weight of multiple personas in the mind of the character, Kevin Wendell Crumb. That’s about it. Bruce Willis feels like he’s given up on acting in his last few films, and Samuel L. Jackson spent most the movie just staring at the camera. The story didn’t gain much momentum specifically because you know what to expect from these characters and nothing new was brought to the table. It’s evident that M. Night really believe’s that people would care about this world he developed like we care about the MCU, but the problem is that NO ONE ASKED FOR THIS. The finale of the film was particularly embarrassing because he was trying to make it EPIC with horns blaring like the end of The Dark Knight, but it just ends with uncaring disappointment. The movie couldn’t decide if it wanted to be a respectable character study drama or a superhero movie and M. Night decided to just mash them together into an unbalance mess of tones. It left me feeling like this was an egomaniacs attempt to say he can create a shared universe and shove it down our throats whether we liked it or not. Listen, I don’t hate the movie. I’m not even disappointed in it. My expectations were low and it met those expectations. I think we just need to stop expecting great things from M. Night because when we do, it usually turns out crappy. Bonus Material: I think we’ve come too far along in Hollywood for the prosthetics on Mr. Glass’s mom’s face to look so damn fake! The Visit: Is M.Night Shyalaman Back? !